With a population composed of 11 million of inhabitants, of 70 different nationalities, and also with 15 million of visitors per year, São Paulo is a global city that gathers different customs and culture. It is not by accident that São Paulo is currently the main gateway of Brazil, receiving 65% of the international flights that arrive in the country, and also disposes of the main direct flights that are connected to Brazil and the rest of the world. Completely different, São Paulo is in touch, creates trends and styles with options for leisure, business and entertaining for the most different types: from intellectual to sports, passing through raver, religious, modern and workaholics. Moreover, this diversity also reflects all types of art, as well as of fashion. Here you can find from teenagers wearing cosplay walking through the mall, to suit-and-tied rushing through Avenida Paulista. These characteristics are results of the past history of the city. Between 19th and 20th Centuries, the municipality went through an intense immigration flow. At that time, the state of São Paulo was the most important international exporter of coffee that attracted workers from the four corners of the earth. In 1920, for example, almost 2/3 of its 600 thousands inhabitants were immigrants. The success of the coffee also contributed to the enrichment of São Paulo capital. Farmers invested part of their profits on region infrastructure and modernization. The wealth accumulated in the municipality in this period, and the industrial knowledge brought by the new inhabitants gave rise to a industrialization process. Initially, only products of low cost, with national raw material, such as the own coffee, cotton, leather and sugar. São Paulo industry reached its success in the beginning of the 20th Century, when Francisco Matarazzo started building the biggest industrial complex of Latin America. The plants used to produce from flour to material previously supplied only by importation, such as labels and packages. However, not only industry started the vanguard in São Paulo. The strong modernization combined with the new cultural knowledge brought by immigrants provided the town a single artistic and cultural moment in the history of the country and of the world. Brazilian artists, such as painter Anita Malfati and the writer Oswald de Andrade, and foreigners, such as the Italian sculptor Victor Brecheret started the Modern Art Week. It was a meeting of writers, plastic artist, architect and musicians held in February of 1922, in the Theatro Municipal. The goal of the participants was to exhibit works which comprised innovative characteristics of Europe, but presented typical national style. The strong industrialization and the talent for arts and culture are present up to this moment. São Paulo has the highest Gross Domestic Product (GDP) of the country, according to the Brazilian Institute of Geography and Statistics (IBGE). Headquarter of some of the biggest global corporations, it provides the whole infrastructure for business, technology and services. It is not by accident that the metropolis comprises 72% of the Brazilian market of great fairs of business. This sector moves around BRL 16.3 billion in revenue to the city. There are approximately 20 centers of fairs and conventions of big size. Among them, Anhembi, the biggest one of the South America. Arts and show also shake São Paulo up. Cultural center in Latin America, São Paulo has 101 museums, 282 movie theaters and 146 libraries and, approximately, 40 cultural centers, in addition to several popular parties and fairs that happen in its streets. Besides, the city has 182 theaters. They are places to organize concerts of all artistic styles, from overproductions of Broadway musicals to the vanguard theater. The Theatro Municipal history, one of the most traditional of the city, has many attractions in its programming. Among them, regular presentation of the Municipal Symphonic Orchestra, MPB artists and the City Ballet. In its cultural centers, everyday there are exhibitions, concerts, courses, debates and workshops concerning all ways of art. In addition to present versatile and quality attractions at a popular price, the places provide the audience with their architectures and decorations. As good options, Casa das Rosas – Espaço Haroldo de Campos de Poesia e Literatura is one of the temples of poetry and arts in São Paulo, located in the beginning of Avenida Paulista – and the Centro Cultural Banco do Brasil with more than four thousand m², showrooms, cinema, theater, auditorium, shop and cafe. All such cultural effervescence and different options provide tourists, Brazilian and foreigners, an intensive experience in this entertaining center. It is guarantee of fun and fulfillment for travelers of many ages and profiles. Tourists come to São Paulo looking for different events, which proves its status of cultural center that comprises the circuit of events of the biggest worldwide metropolis. Among them, São Paulo Fashion Week, Virada Cultural (24 hours of Culture), one of the biggest LGBT Pride of the world, Brazilian Grand Prix Formula 1, International Motor Show, Biennial of Arts, International Film Festival, São Silvestre International Marathon, Illuminated Christmas, International Biennial Book Fair and many other good examples. Concerts are also present in the city. After a 2014 full of great presentations such as Elton John, Paul McCartney, Guns n’ Roses, Demi Lovato and Metallica, São Paulo already prepares a year with its schedule busy. Among the artists already confirmed, Ringo Starr, Slash and Pharrell Williams. And arts. 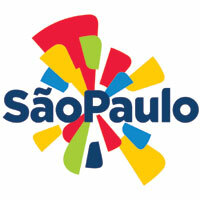 Big, multicultural and intensive, São Paulo is pure inspiration, and this is why is full of artistic expression. Tens of galleries are spread all over the city, many of them in Jardins, with the most different types of art. Like there are different ateliers, many of them in the bohemian neighborhood of Vila Madalena. Shops of articles that appreciate the design multiply more and more, especially in the region of Rua Gabriel Monteiro da Silva. In fashion, new fashion designers of São Paulo constantly appear, reinventing, mixing, aggregating and transforming. And street arts, either in graffiti spread across some walls of the metropolis, or circus artists, on the sidewalk. Theater, cinema and music of all styles are everywhere and give more life to a city that appreciates diversity and causes new sensations. São Paulo is also very known by the agitated nightlife. Here you can find multiple options of bars, restaurants and clubs opened during early morning. The American network CNN listed the best nightlife if the world, and São Paulo capital reached the 4th place of the worldwide ranking, ahead of Bangkok (Thailand), Buenos Aires (Argentina), Las Vegas (USA), Montreal (Canada), Barcelona (Spain) and London (England). Behind only of New York (USA), Berlin (Germany) and Ibiza (Spain). National Geographic also elected the São Paulo nightlife as one of the ten best in the world. The capital took the 4th place in a ranking that gathers destinations all over the planet, such as Dublin (Ireland), Goa (India) and Houston (USA).